Inspired by Mr. Scrugg's 2005 multimedia solo show "Disposable Men" about the treatment of black men in America, the enormously ambitious "3/Fifths" means to connect the dots of racism in United States history with the huge numbers of black men behind bars today. Visually and conceptually, "3/Fifths" is extraordinary . . . this relentlessly provocative, intricately imagined satire does offer plenty to shock and horrify, and at least as much to make you think. You're asked to choose your racial designation at the door to James Scruggs's incendiary interactive carnival performance, and that's just the beginning of "3/Fifths' " funhouse mirror reflection of American racism. 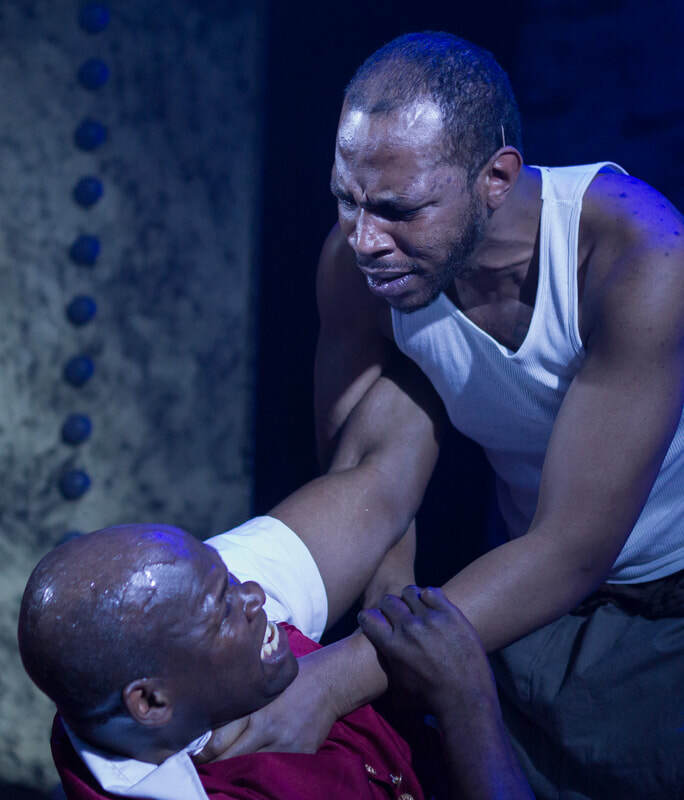 Depending on whether you choose to be "black" or "white" (designated by a mark on your forehead), you'll have a radically different experience at SupremacyLand, lies in the way Scruggs's, along with directors Tamilla Woodard and Kareem Fahmy, co-opt the conventions of immersive theater to deliver a powerful message. The show offers what may be one of the most uncomfortable experiences you'll ever have to a theater - and that's entirely the point. Upon entering "SupremacyLand", you are immediately confronted with a black woman, seated and blind (Catherine Braxton). She asks you, "Black or white" and the two entrances to the space, labeled "White" and "Colored", stand ominously behind. "White" I answered, sheepishly. I take a moment to process that I'm not sure I've ever publicly declared my whiteness save for on a census form. My whiteness is assumed. 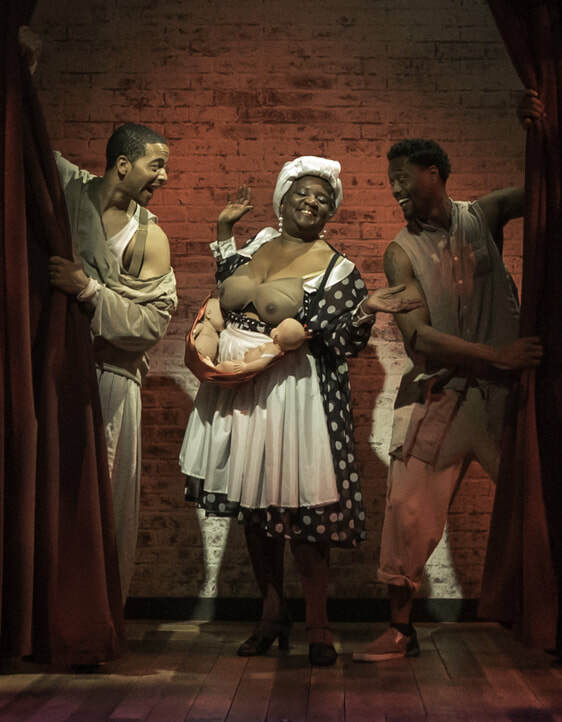 Audiences should ready themselves for a provocative participatory experience with 3/Fifths, written and conceived by the African-American theater artist James Scruggs . . . Eye opening from moment to moment, the production is an act of great daring and discomfort. BOTTOM LINE: step right up to impactful, intentionally nauseating, and gut-punching realness of James Scruggs's 3/Fifths. 3/Fifths is meticulously researched and crafted by the directing and dramaturgy team of Tamilla Woodard and Kareem Fahmy from the brave mind of James Scruggs, writer and creator. ​Four theatrical spaces and the full inventory of of 3LD Art & Technology Center were enlisted in the transformation of the space into SupremacyLand, a dystopian theme park where white supremacy and racist carnage was raised and twisted into totally immersive, experiences. With no fourth wall at all, the audience chose a race at the door and had fun, safe, up close and personal interactions with lovable characters from America’s original sin to contemporary thugs. It was a human zoo, a carnival, and a cabaret all pointing back to when America was great.